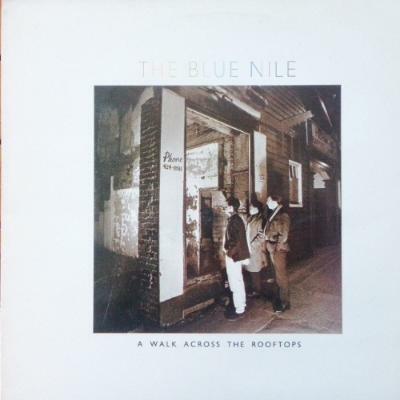 The Blue Nile was another sort of national treasure that I was drawn to and then thrilled to discover they were local. I can't overestimate what it meant to fall in love with bands from Scotland who enjoyed success. It just opened up windows for our minds, because there's a certain particularly being a 70s baby and London just felt so far away – success of any kind, or glamour, felt far away. Whenever a Scottish band would succeed on a national level it felt really immense. What I also just loved about The Blue Nile was how evocative and sad they sounded. I loved the sorrow in their records, because up until hearing them, I'd hadn't really heard sorrow. I'd heard non-conformity, I'd heard rebelliousness with Siouxsie and the Banshees or The Clash, but I'd not heard sorrow. Depression and sadness have always been a part of my language and my family all sort of thought or considered me a complete freak as a result. They just thought this whole darkness and my gloominess was an annoyance and at best, an irritant. But to me it's always been part of my interfacing with the world. Sorrow, sadness and depression – it's just existed in me and it's part of, I think, human nature. When I heard Blue Nile, I was like, 'Ah, old friend, I recognise you, there you are. Somebody else feels the same as me'. I loved the sort of expansiveness of their sound. It felt very sort of like a modern Frank Sinatra to me, in a way. It's an obvious comparison but the sweeping, Nelson Riddle-esque type of sonic landscapes just really captured my imagination. Paul Buchanan's got this ache in his voice that's, again, very unusual. You don't really hear a lot of people sound like Paul. I loved the sort of ordinariness of the lyrics too – it was very much sort of relatable, simple, and unglamorous expressions of love; I just really identified with that. Pop music has always just alienated me for one reason or another – I just don't identify with it or understand it. So somebody like Paul Buchanan and the Blue Nile literally speaks my language. It's a language that isn't often used or utilised in day-to-day culture. I think we're all encouraged to hide our mental health issues, or encouraged to hide our depression, our sadness and our griefs. I believe in the expression of grief: I think it's imperative for a joyful life, and why live if you can't live joyfully? To live joyfully one must express negative emotions. It's really, really important. And those people who shirk from so-called negative expression, I think, are cutting off an entire part of their own happiness and existence.